Happy Friday! We made it through another week! We have been doing the whole potty training thing around here with miss Adelyn. So far, so good! 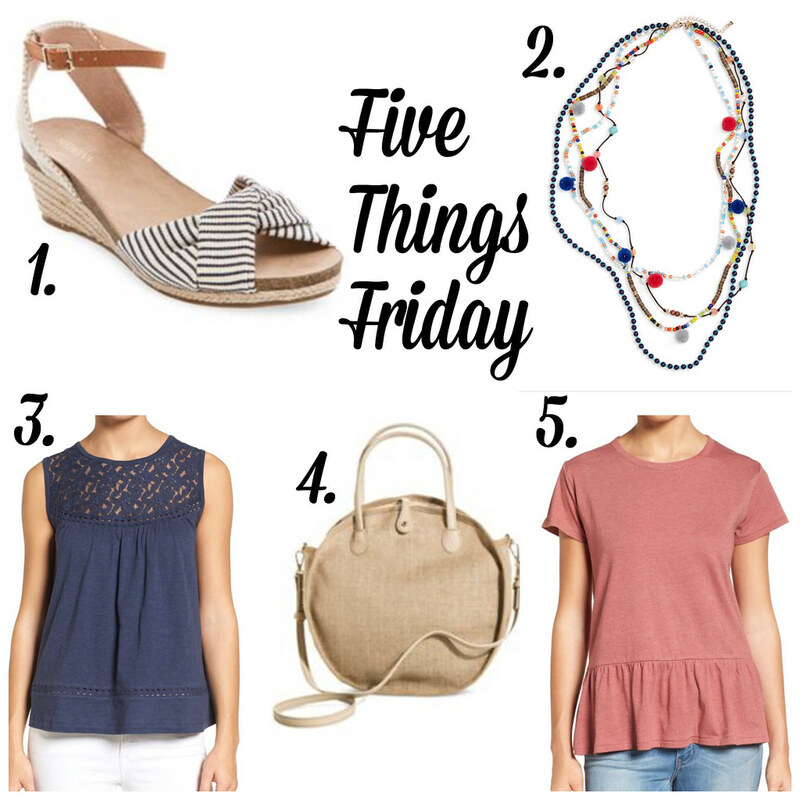 We are leaving for vacation next weekend, so I'm not sure how that will go, but hopefully it will be ok. Today, I'm featuring a few of my favorites. I thought this lace front tank and this peplum tee were both adorable for spring. I bought this handbag at Target and I am planning to take it with me on vacation. It is just the right size to throw a few things in and head to the pool or beach. For some reason, as soon as I saw it, it just made me think of the beach. These wedges are lightweight and very comfortable! I love them! I do not have this necklace, but I thought it was so cute and could be paired with so many things. I hope you have a great weekend! Thanks for reading!